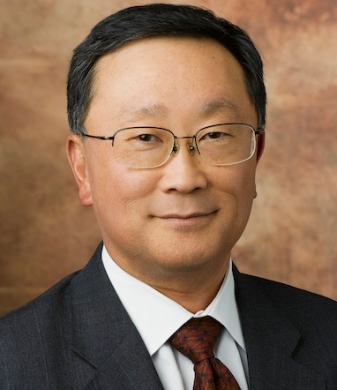 Washington, May 29 : BlackBerry Chief Executive Officer (CEO) John Chen has reportedly upped his company's chances for survival saying that he gives it an 80 percent chance for success, which is higher than his previous estimate of a 50-50 chance of success. Chen, who was speaking at Recode's Code Conference in Rancho Palos Verdes in California, said that BlackBerry has problems, but the company is not dead, adding that he is confident that they would be able to save the patient. According to CNN, with shrinking market share and continued losses, BlackBerry is in the fight of its life and as a result of last year's failed bid to re-enter the consumer market for smartphones, the company has shifted its business of serving big corporations and government agencies. Although the CEO did not say that the company would create an Android smartphone, Chen did acknowledge that BlackBerry had to tap other ecosystem while being relatively candid for an executive. Chen also admitted that under the previous CEO Thorsten Heins, BlackBerry did get distracted by trying to add value to consumer smartphones, saying that they cast their nets a little too broadly.